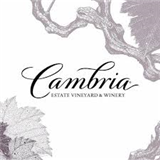 Cambria Julias Vineyard Pinot Noir: "This single-vineyard selection from the Jackson Family's Santa Maria Valley winery kicks off with scents ranging from red, blistered tomato to pomegranate reduction and mole sauce. On the palate, flavors vary from sweeter berry to tart cherry, with a savory, roasted pork element rounding out the wine. " Julia's Vineyard Pinot Noir is deep, dark purple with underlying earthy character that compliments its solid tannin structure. Red fruit and dark berry aromas andlflavors carry through to a long fruity finish. Pairs well with mushrooms, roasted tomatoestruffles filet, and seared ahi. It also pairs well with cheeses such as Gruyere and Fontina.